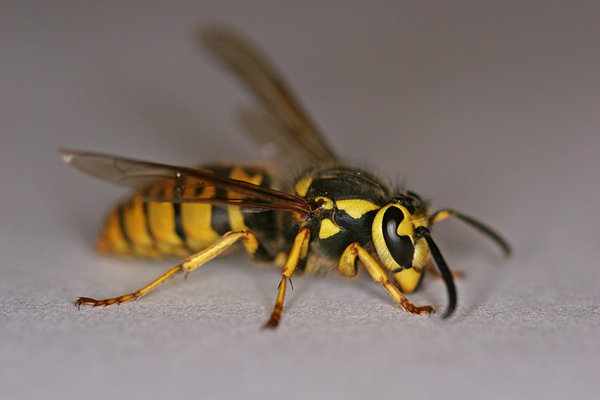 There is nothing more annoying than pesky yellow jackets when you’re trying to eat outside in the summer. In Colorado, we are fortunate to not have many bugs leaving our doors open without much concern of flying insects invading our homes. Growing up in Iowa, it was a race to get inside and shut the door before the flies, mosquitos, June bugs, moths, etc. dive bombed toward the door. For each of the 24 years we’ve lived in our home, the yellow jackets smell food/BBQ when we’re on the patio and the panic is on. The girls freeze, run and scream into the house, slamming the door. What a waste of perfect Colorado summer outdoor dining. Each year I purchase every type of yellow jacket trap and bait without catching a single yellow jacket. GRRRRR! 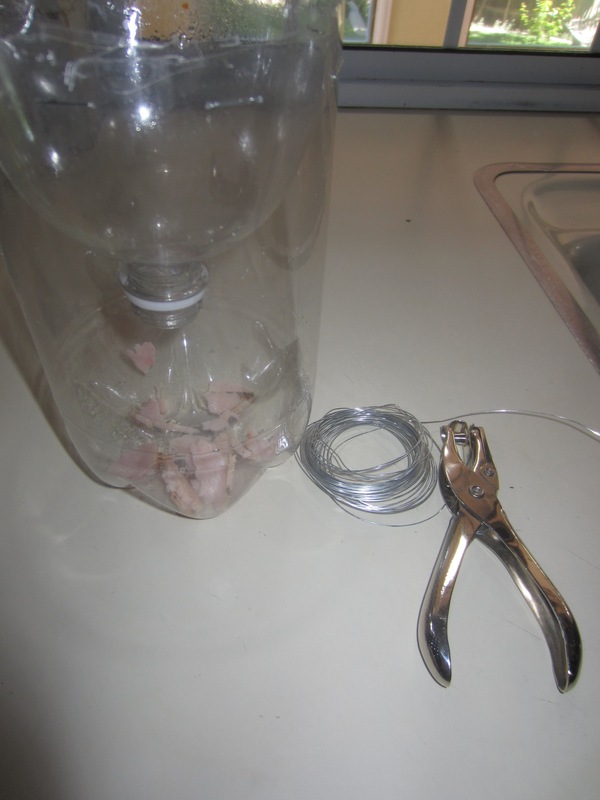 This year, I decided to try a DIY yellowjacket trap made from a 1 liter soda bottle. After 10 minutes of creating this gem of a trap, I started watching the clock to see if it worked. I used bits of turkey to lure the protein-seeking pests into my lair. Tick, Tock! Tick, Tock! No luck. A week later, 2 flies…that’s it. Now I’ve added sugar water and we’ll see what happens Tick, Tock! I have a hunch that the secret is in the bait. If you have a special yellow jacket concoction that works for you, please share! In the meantime, I’m proud of my homemade trap. 1) Cut the top off of the soda bottle. Put top of bottle, upside down into the bottom of the bottle, creating a funnel/entrance for the yellow jackets. 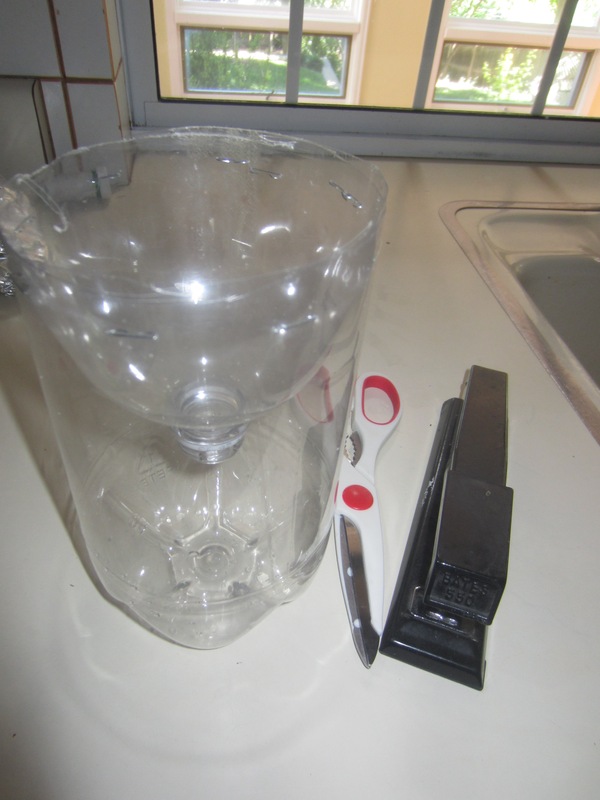 2) Staple the two pieces of bottle together. 3) Punch 3 holes equal distance apart in the top of the trap. 4) Cut 3 pieces of wire, about 10-12″ long. Lace a piece of wire into each of the three holes and twists the end around the bottom of the wire to secure to the bottle. 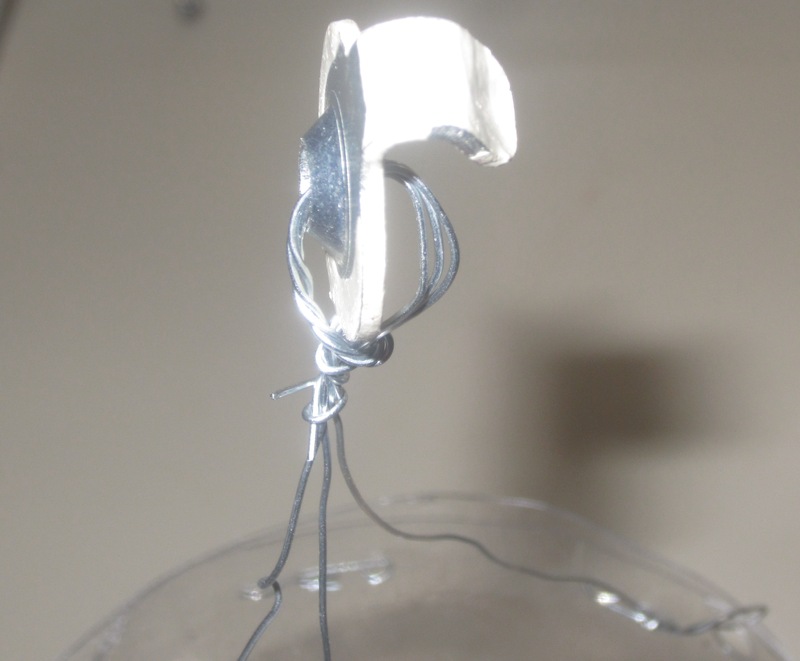 5) Bring the three wires together at the top and twist all together. 6) Spray PAM in top of trap to create a slippery entrance to the trap. 7) Bait the trap with bits of meat or sugar water. 9) Empty (or discard) when full. 10) Make a new trap! Hi Cathy! We have tons of those nasty critters-they hide in our umbrellas. The traps that Home Depot sells called Rescue really work-kills dozens. Thanks, Terri. I’m heading to Home Depot this week!